Bacteria naturally exists in your mouth. However, it is important that you keep your mouth clean so that the bacteria don’t mix with protein and food particles to form plaque and tartar on your teeth. According to Web MD, plaque can cause serious issues for your teeth over time. It breaks down the enamel on your teeth and can lead to decay. There are solutions for achieving good oral hygiene. While traditional brushing and flossing is certainly a benefit, there are natural solutions as well. Let’s discuss some home remedies that you can use to help treat tartar and plaque build-up. According to Stylecraze, aloe vera can be used to clean your teeth and gently remove build-up. You can opt to use only the gel from the plant, or you can mix it with vegetable glycerin, lemon, and baking soda to create a scrub. Eating cheese before meals can help neutralize acid that promotes plaque production on the teeth. According to PositiveMed, older cheeses like Swiss or Cheddar work best. DIY Health Remedy suggests leaving strawberries and tomatoes on your teeth for five minutes. Both foods are rich in Vitamin C which promotes stronger teeth that can resist plaque. The paste can also soften the tartar build-up so that it rinses away easily. DIY Health Remedy indicates that a small amount of baking soda on your toothbrush can work as a natural scrub that can remove a build-up on your teeth. Chewing figs can work to remove plaque and clean teeth. DIY Home Remedy says that chewing 3-4 figs can slowly activate the salivary glands to promote cleaning. Rubbing an orange peel on your teeth and allowing the residue to settle on your teeth overnight, can be beneficial. An article from Stylecraze indicates that the oranges not only work to remove bacteria that forms starter but can also naturally whiten the teeth. 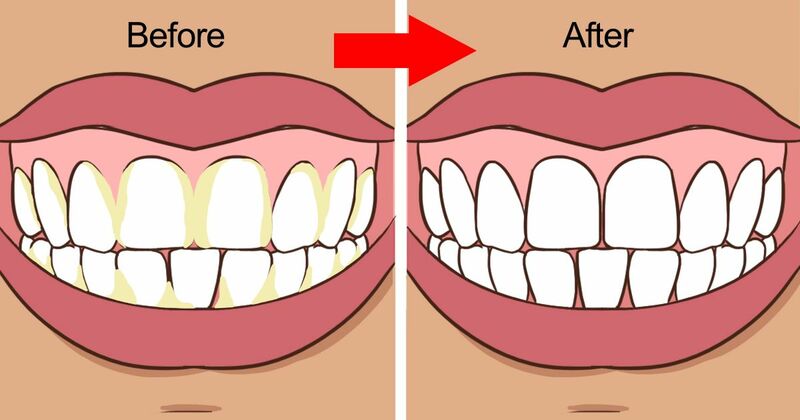 DIY Health Remedy suggests that if done regularly, a vinegar rinse can help remove tarter on the teeth. To use, mix two tablespoons of vinegar, one tablespoon of salt, and four ounces of water. Which natural remedy do you think is the best? Share with your friends to get their thoughts.